"John at Dimensions in Sound was awesome to work with. Had all the music we requested and was always responsive to our requests. Did a..."
"Even tho he is in a wheelchair dont be fooled he knows what he's doing. Played every song we requested. Orderly and timely manner too...."
"The Dj was outstanding full and energy had the dance floor packed and the lightening was top notch like a club. 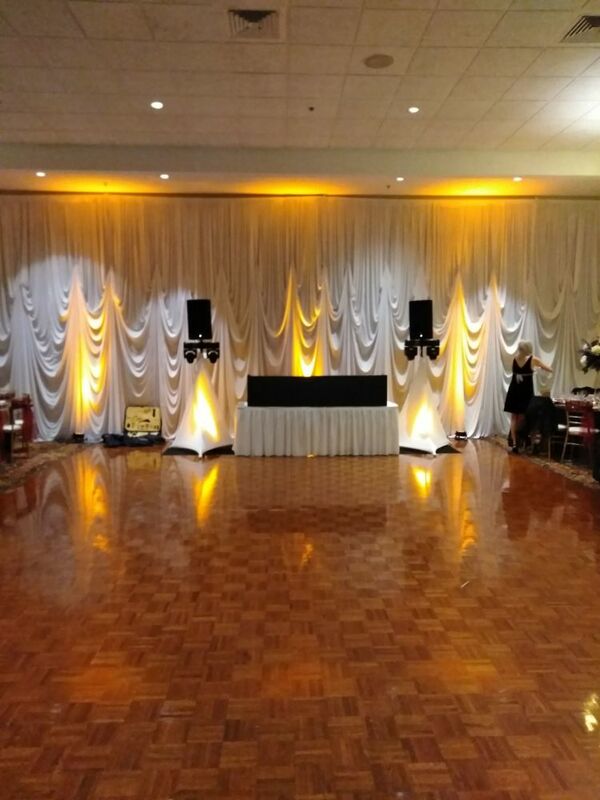 I highly recommend dimensions and sound for your next get together.. Photo booths really are a blast..."
"I actually ended up booking this DJ company because I heard them at my cousins wedding and literally NO ONE LEFT THE DANCE FLOOR!!! They were SO great with communication throughout the whole wedding process. They were VERY organized and I didn't need to worry about ONE thing..."
"John did my wedding for me in July...He had the whole reception entertained..He was very patient with me. (I was bridezilla) He played all... "